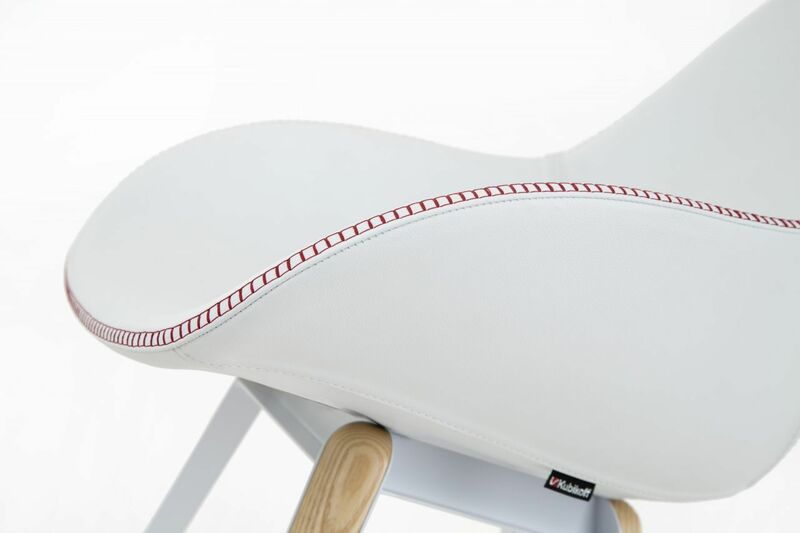 The Tailored Dimple shell’s structural design was inspired by an eclectic mix of old, vintage race car seat. Comfortable and highly ergonomic body, with a modern, vibrant aesthetic. 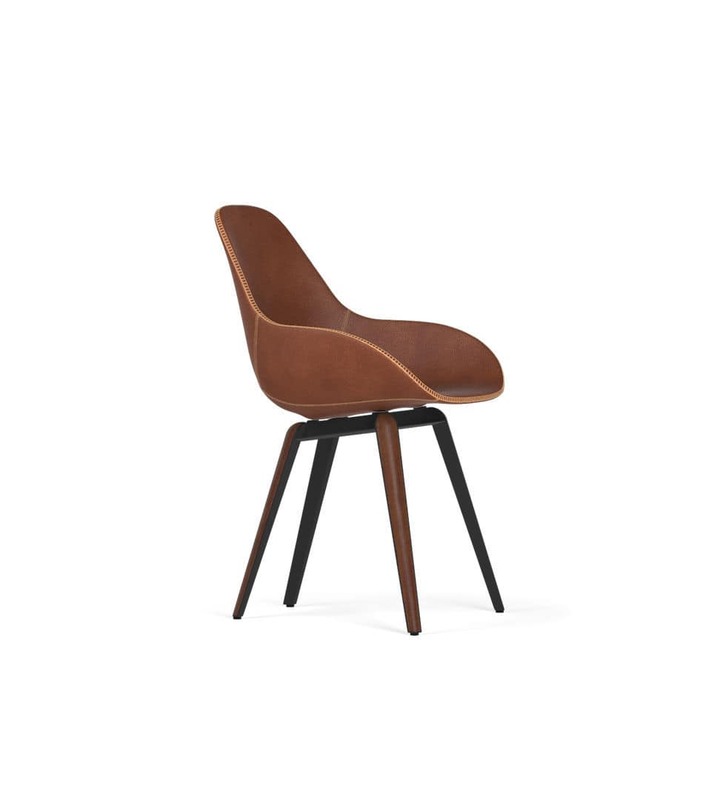 Tailored is padded with a resistant and self-extinguishing Polyether foam sg 75 kg/m3, and is carefully lined in leather, faux leather or fabric, thanks to the skill of the master upholsterers at Kubikoff Lab. Tailored can easily withstand any kind of use, including the intensive one of the contract market. Smooth as glass, the Slice base is the perfect example of a design that combines functionality and a graceful silhouette. With its minimalistic design Slice allows its materials to do the talking: the inserts, which have all the warmth of wood, slide on the metal frame of the legs, and are connected via the magnets placed in the feet, which can be removed and repainted. Slice is a light and elegant base, perfect in its simplicity. 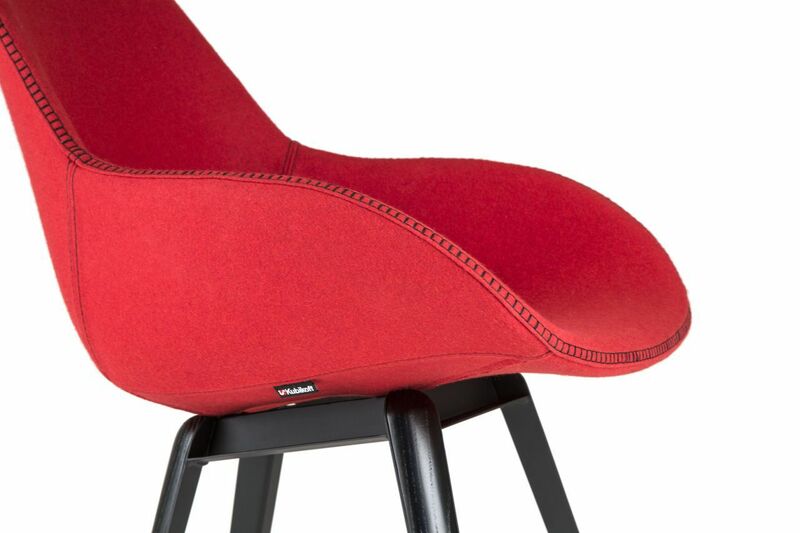 The Slice Dimple Tailored Chair is elegant in its simplicity, enhancing the 50’s style of the seat, via the play of materials of the base. The stylish look takes nothing away from the extreme functionality of the chair, built with the most innovative techniques to be comfortable and durable.